Patch 5.4 looks like it’s primed to hit the PTR any day now, and the data miners have been busy pulling out all of the changes that are potentially going to be seen on the PTR. Included in them are a massive amount of resto druid changes – that is almost an entire reworking of the class mid-expansion. While these are very preliminary changes, and I would be shocked if these will hit the live server as they stand now, I thought that it would be worthwhile to take a look at them given the fact that they will have a huge impact on resto druids when they do go live. While I am excited for many of the changes that look to be around the corner, I am also a little trepidatious about essentially relearning to play my class (again) halfway through the expansion. That being said, we were definitely in need of some big changes and much of what it looks like is in store for us looks good. As such, I’m a little conflicted but definitely leaning towards the “roll with the punches” and “don’t look a gift horse in the mouth” side of things. So without further ado, let’s take a look at what is potentially being proposed! (Please note that these changes are a mix of things pulled out by dataminers and listed on the official forums as PTR patch notes). Innervate – Causes the target to regenerate mana equal to 50% of the caster’s Spirit every 1 sec for 10 sec. So they have moved innervate away from being a set amount of our fixed mana pools to once again scaling with Spirit. From a raiding perspective, I think this is a good change. Our spirit levels as we move forward have increased and will only continue to do so – and this allows our primary source of mana regen (innervate) to scale in a somewhat similar fashion to the other healers (as opposed to always being a fixed amount with a fixed mana pool that doesn’t scale with our gear). If you are raiding current content, and you are sitting at a healthy amount of spirit (12k+), that is commonly seen once you are in full T15 gear, this will be a welcome buff to innervate. Wild Mushroom – Grow a magical mushroom…the mushroom grows larger as it accumulates healing power from 100% of overhealing done by your Rejuvenation, but to a maximum of 200% of your health in bonus healing. Recasting Wild Mushroom will move the Mushroom without losing this accumulated healing. Wild Mushroom: Bloom can consume your Mushroom to heal nearby allies. Only 1 mushroom can be placed at a time. This is two quality of life changes that were sorely needed! First, you only need one – yes ONE – mushroom! Secondly, your charges will travel with your mushroom. No more clunky three clicks to place. No more charging the darn things up and then having your raid run to Timbuktu, making you start the process again. This should make mushrooms much more pleasant to utilize and much less punishing if your raid relocates after you’ve set them up. Nothing here but good things! Wild Mushroom: Bloom – Causes your wild mushroom to bloom, healing all allies within 10 yards for 13,400 +124.2% of spell power. Bonus healing on the Wild Mushroom will be divided across all targets healed. This change is basically just an adjustment made with the change of only being able to drop a single mushroom (as opposed to three). A slight adjustment to the output of mushrooms, as well as the speed in which they (it?!) will charge. Not completely unexpected and probably well in line with the other changes that we are going to see this tier. This is a nice change, and something that probably needed to happen given that NS was basically the only talent option to take in that tier. This is an interesting new talent, and certainly will add some diversity to this tier. I’m not entirely sure how it will play out versus the other two talents yet, but it at least adds some options/variety to the tier and I think has some potential to be fairly decent in a PvE setting. Genesis is a new Restoration spell learned at level 88. Genesis targets all party or raid members within 60 yards and accelerates the casting Druid’s Rejuvenation effects, causing them to heal and expire at 500% of the normal rate. Costs the same amount of mana to cast as Rejuvenation. I think that this spell has a lot of potential and I am thrilled to see it added to our toolkit (even if they didn’t name if Flourish!). While it doesn’t solve the great absorb problem, it does do a whole lot to give us some ability for burst healing. I like that it synergizes with one of our key spells, Rejuvenation; and I like that it adds a way for our HoTs to work in a new and unique way, while still keeping some of the flavor of being a HoT. I think that this has the potential to be a very powerful asset in our toolkit and I very much like that it will add a bit of timing to our healing that gives us the opportunity to think ahead and plan in advance for periods of burst damage. I am really looking forward to seeing how this spell plays out on the PTR and I am hopeful that it will help bridge the gaps we’ve seen in our toolkit for over two expansions. I’m sure there will be some tweaks to it before it goes live, but I’m optimistic that the nature of the ability will remain intact. Dream of Cenarius has been completely redesigned to reduce complexity and increase usability, but maintain the spirit of the effects. Benefits now varies by specialization: Restoration: Causes Wrath to deal 20% more damage and heals a nearby friendly target for 100% of the damage done. Ever wish that you got atonement? Welp! Now you do! The big difference is that ours doesn’t have a chance to proc an absorb. That being said, it may well make DoC useful given the right set of circumstances, damage patterns and encounter design. It should also be noted that the cost of wrath was increased by 50%. Ok, I’ll take it. Right now the only real benefit HotW provides in a raid setting is the 6% increase to intellect, and maybe a little damage during down time. This will at least offer it a little more boost, and I imagine could be relatively powerful when paired with Tranq or our new Genesis ability. This change to NV potentially will make it the “go to” talent in this tier. With the short CD on activation and the increased healing done, it looks to be very promising – even if it is more smart healing (sorry folks, this looks to be the way of the future!). Granted, it is still more throughput which won’t necessarily counter mitigation, but I think it has the potential to be pretty powerful. Soul of the Forest – Restoration you gain 100% haste for your next spell when you cast Swiftmend. Nothing really outstanding here. It’s a boost from the 75% that it is currently, but it doesn’t really do anything to change the clunkiness of SotF. To me, that means that the ability continues to be somewhat lackluster. Glyph of Efflorescence increases the healing done by Swiftmend by 20%, causes the Efflorescence healing effect to be trigged by Wild Mushroom instead of Swiftmend, and lasts as long as the Wild Mushroom is active. Well, this is interesting! I can’t decide what I think about this glyph yet. So…if a mushroom is down efflorescence is always present? Am I reading that right? I do like that it bifurcates efflorescence and swiftmend. But I have mixed feelings on it if I’m reading it as I posted above. I think I want to wait and give my thoughts on this particular new (and potentially exciting) glyph after we see how it plays out on the PTR, but I will say that I don’t know if I’m thrilled about it being active…basically all of the time, with very little thought. I’m sure I’ll have more to say on this later – but my initial thought is “yay! More healing!” followed by “Yay! More healing I don’t have to think about!”. I personally think passive healing/mitigation is a problem and I don’t know that I really want the devs to keep contributing to this model. Druid T16 Restoration 2P Bonus – Ironbark increases your critical chance by 20% for 12 sec. Um…okay? I guess? I’m sure that this is meant to synergize with the four piece bonus a little bit, and I have some theories about that bonus that I will share, but this just seems a little odd to me. 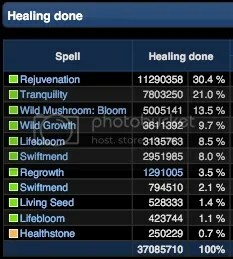 Druid T16 Restoration 4P Bonus – Rejuvenation, Lifebloom, and Wild Growth critical heals have a chance to cause all cast time heals for the next 12 sec to cause a Living Seed on the target for 80% of the amount healed. At first look, this bonus looks like garbage. And if Living Seed stays the way that it is right now, it is a pretty terrible bonus. I mean 1) you have to get a proc and then…spam RG? Seriously? And 2) Living Seed is still terrible. It requires a physical hit to proc and is a reactive ability that will frequently be high over heal. But I have a theory, or a wish – whatever you want to call it! It is purely speculative. However, I can’t help but think that they will be adjusting living seed to become an absorb. If you look at the shaman and monk bonuses, they are both gaining an absorb mechanic. And priests and paladins already have this ability. So to me, it would make sense that they rework living seed. This takes away the need for the physical hit. It tosses druids an absorb bone. And it has the potential to really synergize with things like OoC and this four piece set bonus. I could be way off. I could be dreaming. But I, personally, wouldn’t be surprised if we don’t see some tweaks coming out to living seed in the relative near future. Granted, the bonus still seems somewhat awkward, but less so if LS was an absorb that we could strategically toss around. Overall I’m pretty excited about the changes. However, my one concern is that all of these changes lie in our throughput, which does little to counter the great mitigation problem that has plagued throughput healers for the entirety of this expansion. I will admit that the mushroom and tranq changes that we saw in 5.3 did more to balance this than I had anticipated – but I am hesitant to buy into a slew of throughput changes really fixing the current mitigation imbalance. I am excited for the choices that some of these new abilities will give us. And I am excited to have some tools that synergize well with our current toolkit while simultaneously looking to fix the gaps in our toolkit. In looking at these changes (save our bizarre set bonuses), I can’t help but feel that we are finally getting some much needed attention and that (aside from the mitigation issues, which really are a separate problem) the devs finally understand the shortcomings of our toolkit. Maybe I’m being optimistic, but I am excited to see how this overhaul plays out for us on the PTR and if it helps smooth out the druid play style a little bit. It’s been awhile since I’ve shared any updates that I’ve made to my Weak Auras, and while not much has changed, I have added a few new auras into the mix this tier. Because of the size of the auras, and how they present, rather than copying the entire aura here like I have in the past, I’ve uploaded the imports to pastebin and provided the link. Hopefully that makes them easier to copy and import! (When I think of it and have time, I will probably do this for the auras in the original post as well). I hate “on use” trinkets. Largely because you have to remember to use them. I made this aura to help remind me that this trinket is available, and to use it each time it is off cooldown. The credit for this wonderful weak aura belongs to Stenhaldi. It’s been the one I’ve been using to track mushrooms since they introduced the charge up mechanic and it’s worked wonderfully for me. Since several folks have asked about what I’m using to track this, I wanted to go ahead and share the aura for everyone. I went ahead and made Sephinia’s updates to the aura so that it tracks the new, increased charge amount. As such, the aura posted above is 5.3 compatible. With mushrooms doing a decent amount of healing since the patch, it is important to have a way to monitor the charge to help judge when to bloom them. Since your meta proc is essentially four free rejuvenations, it’s important to keep track of when it activates, so you don’t lose the proc and can maximize the healing you do with it. I make use of this aura to track mine. I altered the coloring a bit so that it is easy to differentiate between the legendary proc and Clearcasting (since the icons look the same). The other night I was able to see the buffs that released with 5.3 in action. I had the opportunity to do some farm heroic content, some normal content and some progression heroic content. And as such, I have some opinions on them and thought I’d go ahead and share my early thoughts! Before I say anything else, I’m going to start with confirming that mushrooms are still absolutely horrible in implementation, a complete pain to use and the bane of my tree existence. However, they are now capable of doing an incredible amount of healing when used well, and should absolutely be worked into your tool kit. The to the right is from our Mageara kill this week. I had the misfortune of being targeted with a frost beam right before the final rampage and died at the start of the rampage as a result – but nonetheless, I did five million worth of healing and only utilized them once during each rampage (and missed the last one!). On top of that, I think I likely could have a) timed my blooms better; and b) perhaps redropped them and bloomed them a second time at the end of the rampage. By the end of the night, when we got to our new progression target (which also favors them a bit), I was much more aggressive with using them and blooming them prior to having full health stored in them and they did a completely ridiculous amount of healing (while I wouldn’t necessarily recommend this as a best practice, it was effective for this particular damage pattern). By the end of the night on that one encounter they were just under rejuv for my healing done. So while they are still a pain to set up, I think it is safe to say that the effort is finally worth it in prime situations. Tomorrow’s release of Patch 5.3 brings a few changes that are important to know for Resto Druids. As such, I thought it might be worthwhile to go over a few things that you want to be aware of and ready to handle upon arriving home and logging in! What, exactly, does this mean? It means that if you cast WG while everyone is at full life it will favor players instead of pets! This is a pretty great change all around, and one that will be favorable for resto druids. Tranquility now targets 12 raid members (up from 5) each time it heals when used in a 25-play instance. This is pretty great change for druids raiding 25s. While I’m not entirely sure it’s going to really even the mitigation playing field, it is certainly a step in the right direction and will give tranquility a bit of a much needed boost in 25s. As always, I encourage you to find the best time to utilize tranquility in each encounter and maximize its use throughout the fight. There are lots of prime opportunities for Tranquility in ToT! This is another pretty great change for Resto, and helps add a little more diversity to the resto toolkit. At 60 seconds, ironbark can (and should!) be tossed around freely on your raid anytime someone is in danger and could use the extra survival. While not a bad change for swiftmend, I’m not entirely confident that it’s going to have much of an overall impact on the ability. As it is, you either dump it on melee (or another clumped up group) or opt to use it on a single target (such as the tank, or someone in need of quick healing). The extended range won’t hurt, but I don’t really think it’s anything that is going to have a significant impact on our overall output either. Oh Mushrooms. You have the potential to be something great, and yet we are still brought down by your cumbersome placement mechanic and overall lack of cohesion with the resto toolkit. This change is a good one for Mushrooms – bigger heal, larger heal radius – but still suffers all of the main issues of the base spell itself. 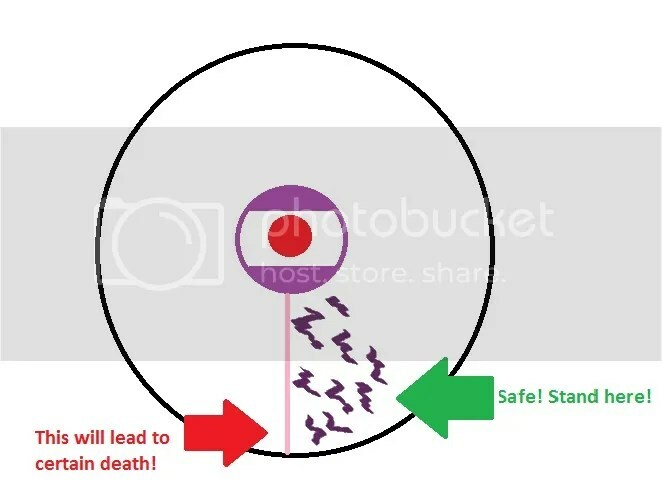 When I was talking about this with Brade the other day we decided that 2/5 of the time mushrooms will be largely overheal; 2/5 of the time mushrooms will be in the wrong spot at the time they need to be used; and 1/5 of the time mushrooms will work as intended and be moderately awesome. It’s just really hard to get excited about a buff to a spell that is horrendous in practice. In places mushrooms were good previously, they will be even better now. In places where mushrooms make you want to kill small kittens, well…just remember that neighborhood cats will be missed. All of that being said, the buff to mushrooms will make a single mushroom more potent, so it may be worthwhile during downtime to spread some out amongst the ranged in encounters that are very mobile and it is unlikely there will be given stack points or the melee will be all over the place (for example, I find they are pretty great during Ji-Kun’s Quills, or to quickly top up damage from Caw). Let them charge and use them during raid damage to help top folks up. It will also likely be worthwhile to try to plan in advance to drop them for significant damage phases. While it would be nice if they retained at least some of their charge if you have to replant them, it will be smart to try to keep them planted in key locations when applicable. Force of Nature is no longer on global cooldown and summons a single Treant. 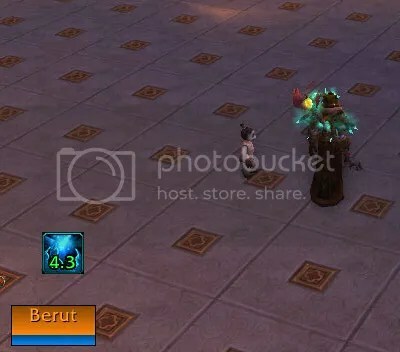 The Treant no longer has a control bar, immediately uses it special abilities on the Druid’s current target and accumulates 1 charge every 20 seconds up to a maximum of 3 charges. Restoration version of the Treant now casts Swiftmend on the Druid’s target when summoned. This version of Swiftmend does not require or consume a heal-over-time effect on the target. While this is a significant upgrade to this talent – it will be very hard pressed to be competitive with ToL or SotF. There may be times where it might be useful, but its usefulness is not likely to be outweighed when compared against SotF or ToL. My advice would be to play around with it in LFR, see if you like it, but to continue to stick with your preferred staples in this tier as I still don’t foresee FoN outperforming either of the other abilities available. 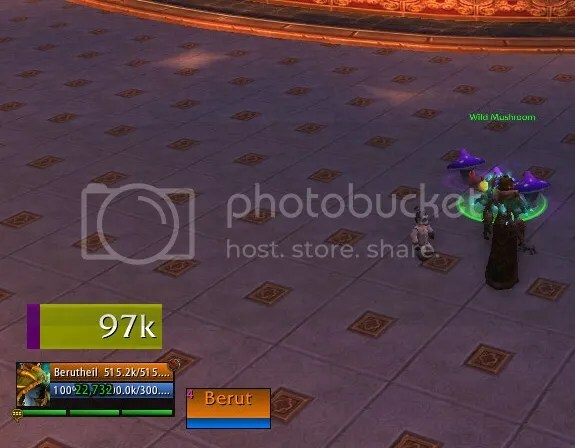 Important Changes that aren’t Resto Specific, but you should still know about! This is a fantastic change, and one that I hope will prevent people from queuing into raid finder as a healer/dps and then changing specs to their preferred roll. It should also significantly help with the acquisition of off spec gear via raid finder. Say it with me! “AMEN!” I don’t know about you, but using coin after coin and never having loot show up can be so discouraging. I’m happy to see that this is something that was noted and an action taken to fix. It should also make the ease of gearing an alt a little better. I’m really torn. While I think these item upgrades are a relatively elegant way to “nerf” current content, having to continually VP cap is tedious and time consuming. The plus side is that the cost to upgrade an item is significantly decreased – which is good. But the time commitment to VP cap outside of raids each week continues to be cumbersome. Either way – if you are capped come Tuesday, you can do a total of 12 upgrades (or 6 total items fully upgraded). Always look good…without having to pay to take items in and out of void storage! Of course, if your Void Storage looks like mine, it’s chock full anyhow and you are already transmogging from your bank because that is where your gear lives anyhow. Enjoy 5.3, and may you fell many new foes upon its release! As always, I am happy to entertain discussion or answer questions. I’d also love to hear about your favorite 5.3 additions. It’s been awhile since I’ve done one of these types of updates. I could probably tell you I didn’t have much to say – but since I often did updates that were almost completely devoid of WoW information, I’m not sure that’s entirely true. I think it would probably be more accurate to say that I’ve been busy…and lazy. I mean I could have easily offered an update on any number of things, but when I had my down time I simply found I wanted to do something other than write! As harsh is that might sound…honesty is best! (Right? RIGHT?!). Whatever! I have both time and desire to write at this moment, as well as things to say! So I suppose that we should get to that before I lose any of the above. Yesterday there were some Druid changes announced for the PTR. While these aren’t guaranteed to make it to live, I still think that it’s valuable to explore them and consider what the changes will do, and any potential consequences that may arise as a result. As such, let’s take a look at what we might be seeing here in the next couple of weeks! While it could be argued that this wasn’t strictly necessary, it is a very nice change that I’m in favor of seeing. While a lot of people view this as a “tank” CD, I’ve often found use for it on members of the raid that are in danger. Being able to use it more freely in this regard is going to be quite nice and a very strong update to the ability itself. I think it’s a very good change and I’m happy to see it go in – hopefully everyone will be a little more aggressive in using it! While I’m happy to see an increase in range, I’ve long since taken the stance that I’m either throwing this on melee, I’m using it on myself and positioning it where I want it, or I’m using it on the tank (or someone else not grouped up) and may not be taking full effect of the ground effect. It’s nice that it’s bigger, I just don’t see it really having a huge effect on the ability overall. I could be wrong and the extra two yards could be profound! I’m just not certain that is going to be the case. Either way, it’s not a bad change. So, yay?! Wild Mushroom: Bloom now heals all allies within 10 yards (up from 8 yards) for 100% more, and includes bonus healing from Rejuvenation overhealing. This change is very interesting. While I’m not entirely thrilled that they still haven’t fixed the main issue with this ability (the extremely clunky targeting mechanic) I’m also not positive that this change, as it stands, is going to go live. Ghostcrawler clarified that both the base healing and the bonus rejuv healing is getting increased by 100% – and, well, that has the potential to be just ridiculous! Right now a set of fully charged mushrooms can pack a punch – just placing them, charging them and blooming them is incredibly cumbersome and heavily penalized if your raid has to move after they’ve been placed/charged. With the buff, this will be even more true than it was before. Not only that, but the amount of healing mushrooms will now have the potential to unleash is going to be enormous. Like mind blowing levels of enormous. Like I’d be surprised if this pushes to live like this enormous. That being said, if the change makes it I think it supports using your mushrooms singularly when your raid isn’t clumped up. Right now, on certain fights, I’m already just placing them under ranged or lining them up along the path the raid will be moving. I do worry a little bit if such a big change doesn’t risk running them back towards rotational. I also dislike the fact that they encourage some poor healing to maximize their effectiveness (much in the same way I disliked the original version of Harmony). I also worry that they are going to become so much of our healing that we are going to be slow to see any changes to them (if we ever were to begin with), simply because druids will be making even more concerted efforts to use them. I suppose we will have to wait and see how it plays out. I would very much like to see some mechanical changes to the ability emerge, but it seems like Blizzard is very hesitant to head in that direction to date. This is a very nice change to tranquility and a buff I do think is needed to the ability. It’s very cool that they are opting to adjust it based on raid size so that it mirrors what it is able to achieve in a smaller setting. I am happy to see this change go in, and I hope that it is a buff that makes it live. That being said…I don’t really feel that this change is going to solve much in regards to Druid woes. I talked a bit about this a couple of posts ago – but I feel it’s important to reiterate. Throughput is not the number one issue facing druids right now. Is that our toolkit is ill equipped to deal with today’s healing environment and that mitigation healing is so dominant that it stomps on the potential effectiveness of throughput healers. Sure, it’s going to promote slightly higher throughput in the situations that we utilize it – but I suspect in the big scheme of things it’s not going to be make or break (I’m hesitant to say it will have a negligible effect, because I don’t think that’s entirely true, I just don’t think it’s going to all of the sudden right resto druids). While I’d like to see more to even out the mitigation vs. throughput playing field I’m not really sure this patch is the place we’d see that play out. I will also admit that I was hoping for a little more relative to Ghostcrawler’s “druid changes” tweet, but will also concede that if all of these go through it is not a terrible haul. I’m curious what all of you think about the changes! Need? Un-needed? Fixing all the wrong things? Have you ever played any of those word association games where you see a picture and spout out the first thing that come to your mind? I’m pretty sure there’s even some psychology test with ink blots that is functionally the same idea. You see a picture, you have a reaction. Now that you understand the rules, let’s give it a try! I’m going to post a picture below, tell you it’s from LFR and you are going to have a reaction. Let’s see if it works! What was the first thing that came to your mind? 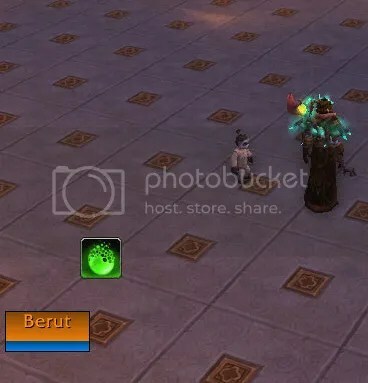 If it was “how many times will we wipe to this” or “I wonder how many people will die” or “UGH DURUMU!”, then I would speculate that you’ve experienced this encounter in LFR and had an experience relative to mine. But never fear! Because I’m here today to tell you how to stop the madness and guarantee a one shot Durumu kill each and every time. Ok, maybe not, but I promise you less people will die! 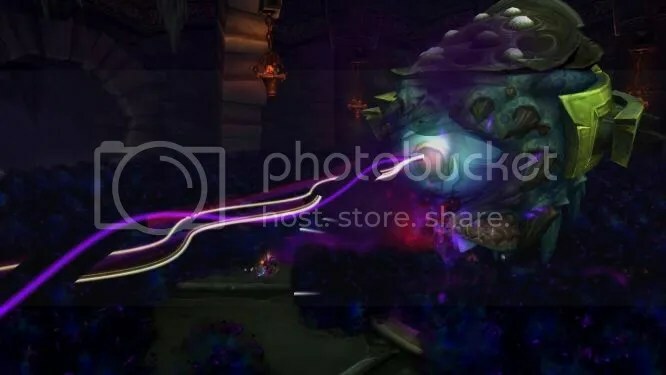 So I was in a LFR this weekend with my shaman, and as is typical, we got to the eye beam phase and 3/4 of the raid died. We wiped and had to start it over. Only before we pulled a second time I decided to have faith in LFR and the players there, and I asked if anyone would like me to explain how to know which side of the eye beam to stand on. I was a little surprised by the overwhelming response of “YES PLEASE!” – especially when I was expecting something more like “lol just don’t be bad lol”. So I took two minutes to explain it, and wouldn’t you know it, in the two eye beams we had only one or two people died. You see, the problem isn’t the “maze” part of the phase as much as it is solving which side of the eye beam you need to be on to start the maze. After we finished, Brade looked at me and said “you have just planted a seed that will save hundreds of hours of LFR pain for many people”. So with that thought in mind, I thought I’d go ahead and share the message with more than just the 25 folks who happened to be in that LFR. Durumu will announce that he is pre-casting eye beam and lasers will start shooting out of his eye. The eye beam will always start facing the entrance of the room (look for the staircases that you came down to enter). Immediately to the left or right of the eye beam the floor will have little purple lightning squiggles shooting through it. These squiggles indicate the side of the room the eye beam will move, and which side of the room will subsequently reveal the maze. You want to stand in the squiggles (they are safe! ), and then move with the maze. I was honestly shocked at how many people understood the maze, but simply just didn’t know where to stand as it was starting and died as a result. Once we fixed that, the fight was simple!